Undoubtedly one of the toughest adventure races for high schools students is the Hillary Challenge. The 18th annual challenge to find the top secondary school outdoor adventure team took place recently, 7-11 May. Spread over five days the gruelling competition saw 12 of the best national adventure racing school teams competing in a series of testing events including orienteering/regaining, trail running, mountain biking, kayaking/rafting, high ropes and various other team orientated problem-solving challenges. Each Hillary Challenge team is made up of four female and four male members. 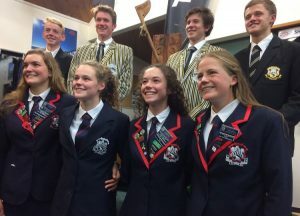 Taranaki was represented by a team of eight year 12 and 13 students from New Plymouth Girls’ and Boys’ High Schools – with five team members returning for a second year. The 12 teams battled it out for top spot, with the event demanding both physical and mental strength and the ability to work with their team mates under stress. In true adventure racing tradition, the exact details of all challenges were kept secret until the event. The challenge began with two days of problem solving, testing a range of outdoor skills as well as each team’s ability to work together, communicate quickly and effectively, make fast decisions and manage their time accurately. After conquering the problem solving, teams headed bush on a two-day rogaine/navigation challenge throughout the rugged and unforgiving Central Plateau. They had to search for and locate virtual checkpoints to add to their competition score, before tackling a 50km multi-sport race on the final day of the event. The teams were scored on their skill, speed and endurance during the five-day series of adventure challenges. 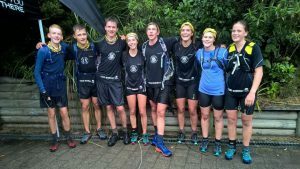 After day two Taranaki were ranked second and the pressure was on to perform in the rogaine the following day, which they did – earning themselves 1500 points and top spot leading into the multi-sport race. 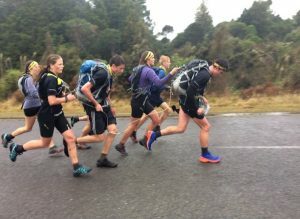 “Over the 5 days we were pushed to our limits both mentally and physically with numerous challenges including two days of tough mental and physical problem solving challenges, a two day rogaine on Tongariro with 10-20kg packs where we covered 55km on foot, as well as a 50km multi-sport race on the last day just to finish us off” said Taranaki team member Annabel Jones. “I am incredibly proud of our team and what we have achieved, each member contributed so much to ensuring our success and without the team members and our community of supporters and sponsors it wouldn’t have been possible” said Annabel. 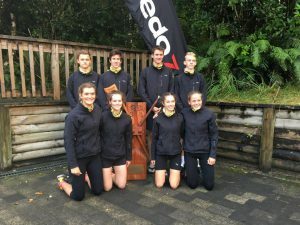 Todd Energy is proud to have supported the Taranaki Hillary Challenge team on their road to National Champions. The support included financial assistance and supplying their competition shirts – which clearly had something to do with the team’s outstanding effort! Team Taranaki in front of the Hillary Challenge Trophy at the beginning of the week. Team Taranaki on the last run of the week-long race, heading to the finish line. Team Taranaki after being named Winners of the 2018 Hillary Challenge – at prize giving in front of the Hillary Challenge Trophy.